Time 4 Dogs is in partnership with the TNT Training Center. 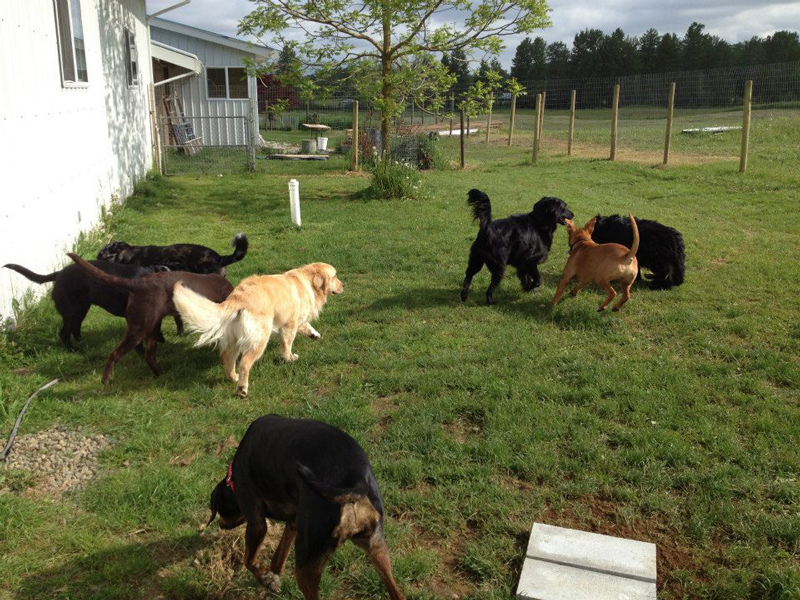 This facility includes the boarding kennel and the largest purpose built dog training facility in British Columbia, situated on 50 gorgeous country acres. 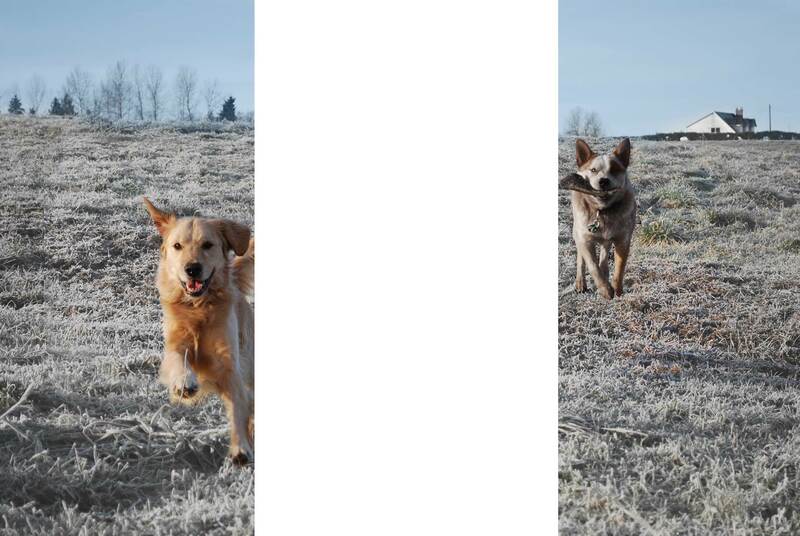 Each of our canine guests is housed in an extensive 6″x 22 ” individual, completely indoor kennel that features in-floor radient heating and plenty of natural sunlight. 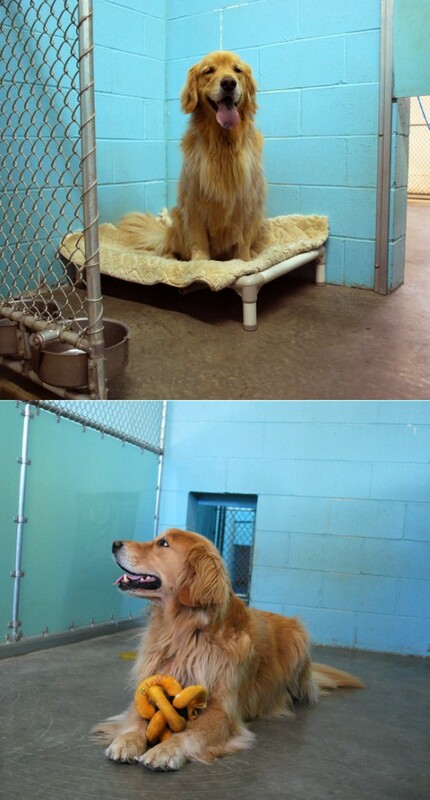 Each kennel has both a smaller “bedroom area”,complete with an off -the-floor Kuranda pet bed for orthorpedic support and sleeping comfort and built in stainless steel food and water bowls, and a larger area for play and movement. 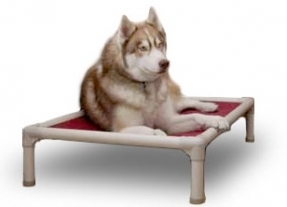 For clients with more than one dog we can add additional beds and bowls to set up a kennel for the comfort of multiple dogs. Our state of the art kennel facility and personal attention to your pet’s needs will ensure a comfortable stay for your pet.This completely indoor kennel arrangement is the optimum setup for dogs that are used to living in the house. The dogs are kept at a more consistent temperature as the facility boasts both heat and air-conditioning . Their is no reason for a lapse in house breaking as the dogs are taken outside many times a day for both exercise, supervised play– if they are socially inclined, and of course potty breaks. Also this is usually the time where we begin our walks if your dog is signed up! 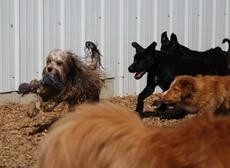 Then everyone is taking out in their play groups or having outdoor time while the kennel is cleaned. NITE, NITE and sweet dreams! The fewer things that change during your dog’s stay with us will make it easier for your dog to adjust. We recommend that you your dog’s own food for their stay (or at least the few couple of days) so there is less chance of any stomach upsets due to a change of diet. House Brand: We offer a premium kibble- Nature’s Domain Salmon and Potato or Turkey & Potato. Raw Diets: We are more than happy to accommodate dogs who are fed raw diets. But please let us know in advance so we can make sure we have adequate freezer space to store your food. 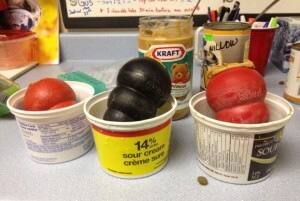 Bedtime snacks are provided or bring your dog’s own special treats. We can ensure that your pet receives the correct dosage of medication during your pets stay. Please provide enough medication to last for you dog’s stay as well as the contact information for your vet. Canine Massage 1-dog - $60 The ultimate in canine pampering - massage helps with creating relaxation, toxin release, flexibility, range of motion and more. visit JEMS Canine Massage for more information. Short Walks - one dog - $6.00 - 2 dogs $10.00 (if they can be walked together). For more energetic dogs consider adding a 15 minute walk to their day. Long Walks - 1 dog $10 - 2 dogs $15.00. 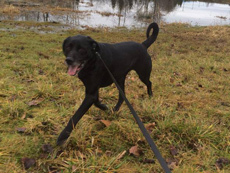 Time 4 Dogs is situated on 50 acres of rolling meadow, landscaped with ponds specifically built for swimming. 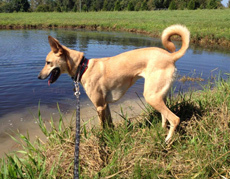 Give your dog a half-hour long walk and if the weather is nice, the chance to swim in the ponds and work off some energy. This offer depends on the dog's temperament and of course the owner's wishes. If your dog enjoys the company of other dogs we will introduce him/her to compatible dogs for periods of supervised play.